Welcome to the Reuben Realm. 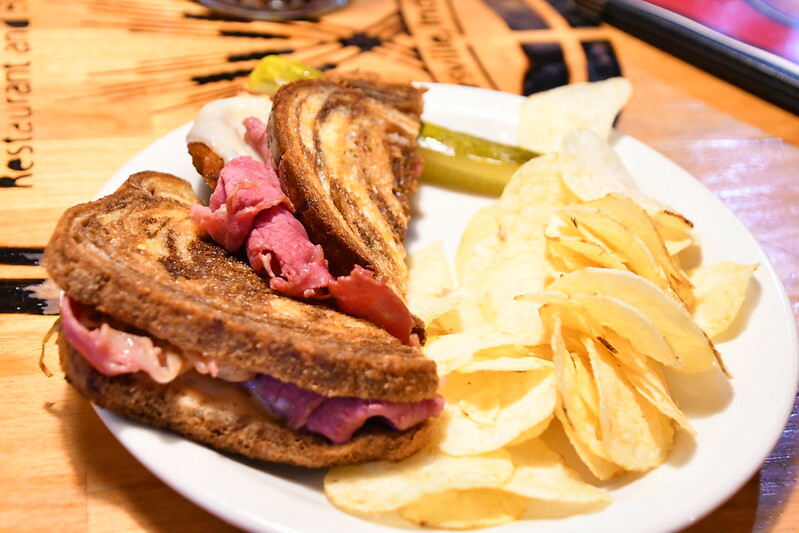 This purpose of this site is to provide you with information about Reuben sandwiches. 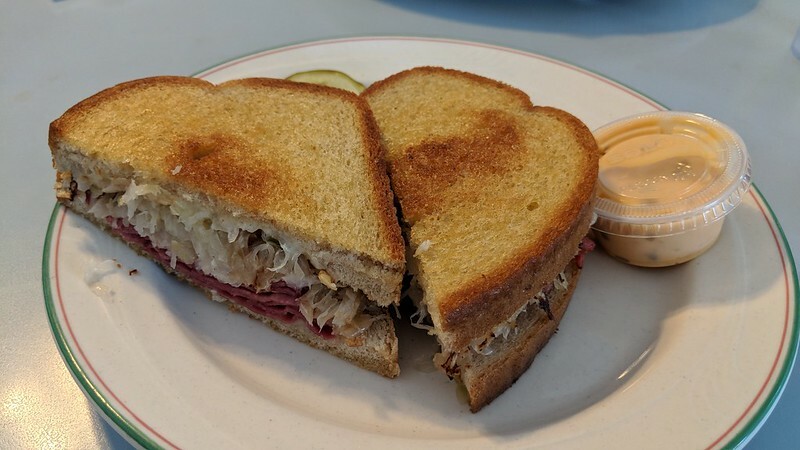 You will find sandwich reviews submitted by our “Reuben Tuesday” group, and “Reubens on the Road” reviews by hearty volunteers who have wandered far and wide to critique sandwiches. 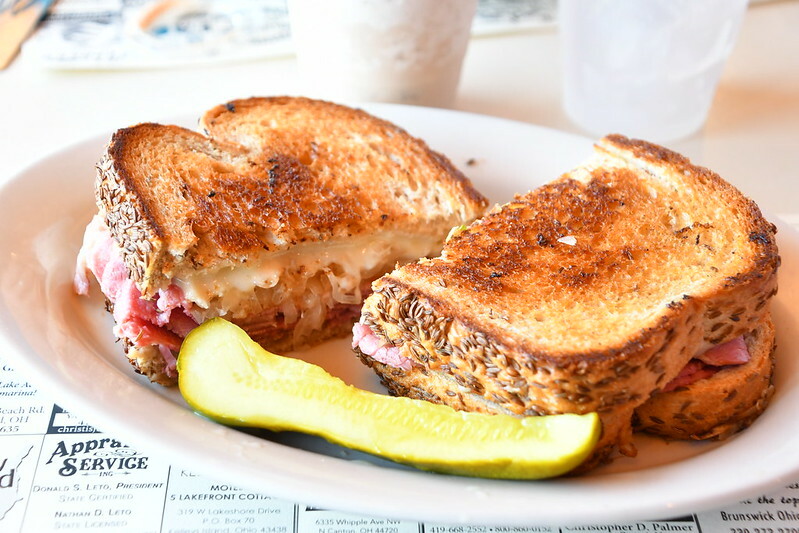 We welcome you to submit your own Reuben Review for a Reuben provider that you have visited. Simply follow the instructions on one of our downloadable review forms and your review may be included on our site. Posted a review of The Village Pump in Kelleys Island, Ohio. Posted a review of Achilles Coney Restaurant in Ann Arbor, Michigan. 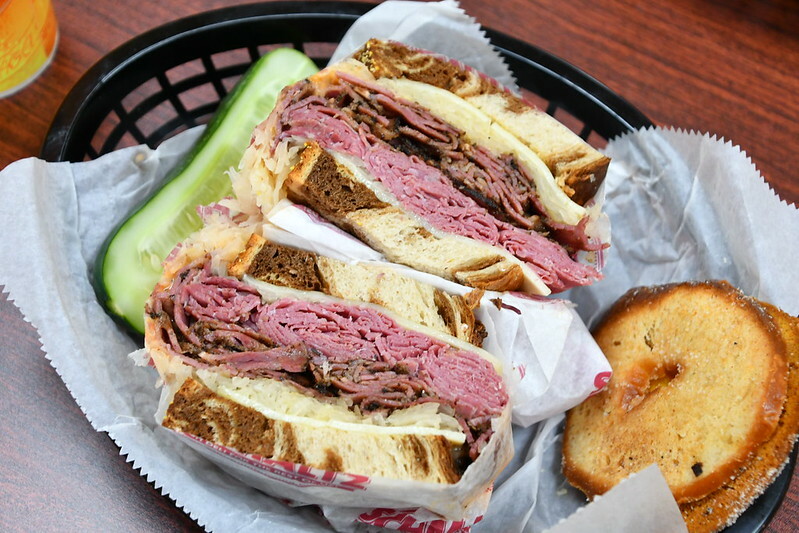 Posted a review of Schmaltz Deli in Naperville, Illinois. Posted a review of our visit to Lil' Charlie's Restaurant and Brewery in Batesville, Indiana. 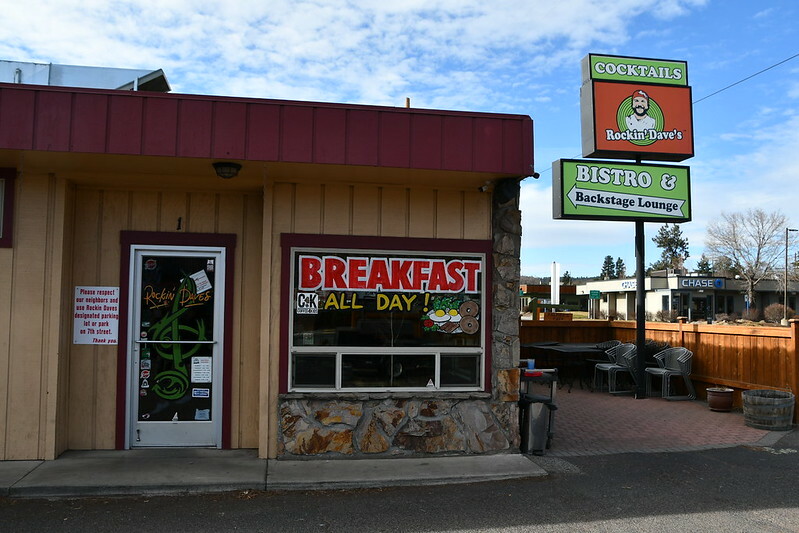 Posted a review of Rockin' Dave's Bistro in Bend, Oregon.